Originally published in 1910, The North Pole is Robert E. Peary's own account of his expedition to become the first man ever to reach the North Pole. In September 1909—after nearly two decades of determined effort and numerous attempts, during which he lost eight toes to frostbite—American polar explorer Robert E. Peary emerged from the Arctic's frozen wasteland and declared that his final expedition had been victorious: on April 6, 1909, Peary had attained the North Pole, a long-sought prize that had thwarted and even killed his predecessors. Peary's news stunned the international community because a few days earlier his rival, American explorer Frederick A. Cook, had announced a similar victory. Cook's claim—allegedly occurring April 1908—had priority over Peary's. The vehement, often vicious campaign mounted by Peary and his wealthy, powerful backers (including President Theodore Roosevelt) soon discredited Cook but also caused his own claim to be scrutinized and doubted. The conflict ignited the greatest geographical dispute in the history of exploration, a controversy that continues to spark passionate debate. Was Peary the first explorer to conquer the North Pole? 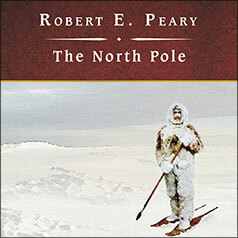 The North Pole, originally published in 1910, makes available Peary's own account of his expedition in the Arctic. It provides hotly contested evidence that remains an indispensable key in deciding who deserved the coveted title "Discoverer of the North Pole." It is also a gripping adventure story that is impossible to put down.